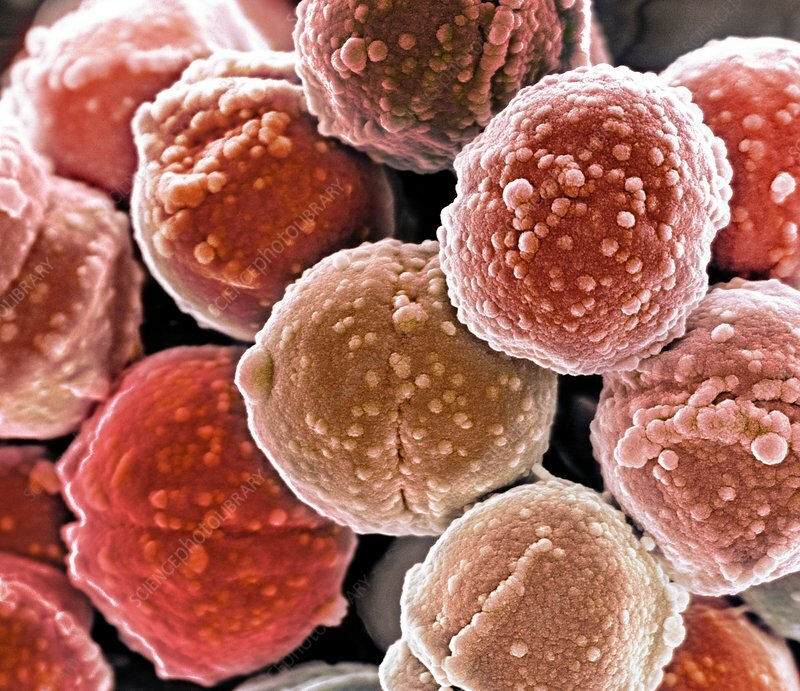 Staphylococcus bacteria, coloured scanning electron micrograph (SEM). Staphylococcus bacteria are an example of cocci (round bacteria). They form grape-like clusters. There are over 40 species of Staphylococcus bacteria, some of which cause disease in humans though most are harmless. Many of the species are found on the skin and mucous membranes. Staphylococcus species are Gram-positive bacteria.